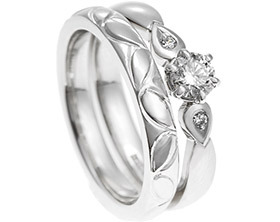 Paul previously surprised Steffi with one of our engagement rings from our ready to wear collection. 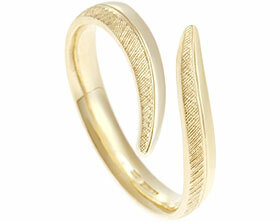 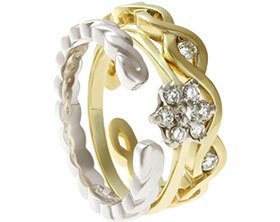 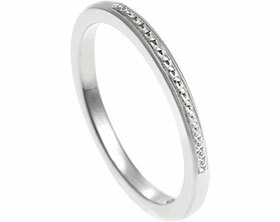 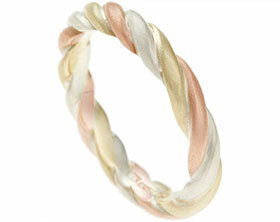 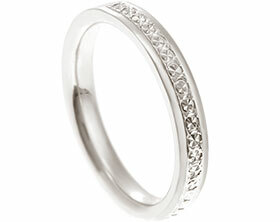 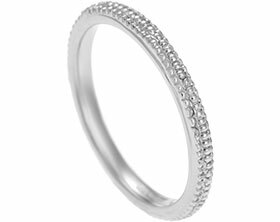 One of the design details from Steffi's engagement ring is a beautiful braided band. 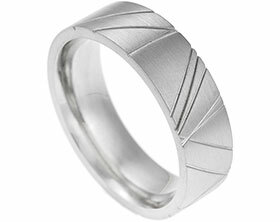 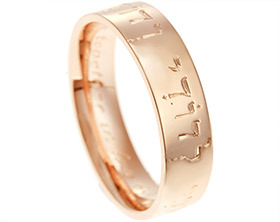 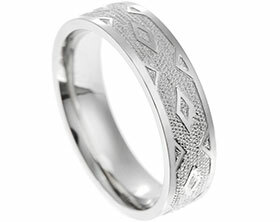 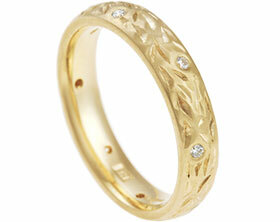 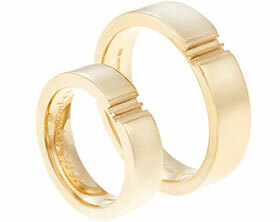 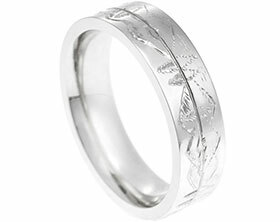 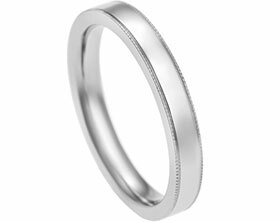 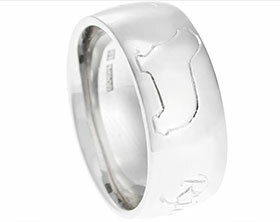 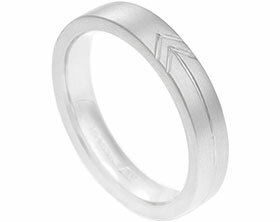 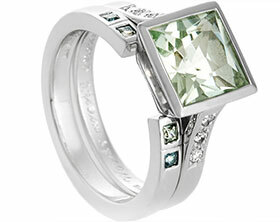 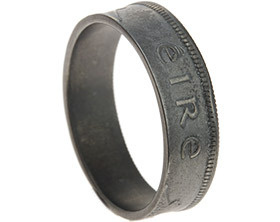 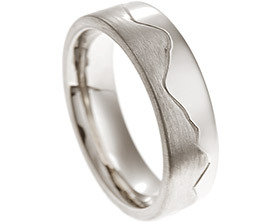 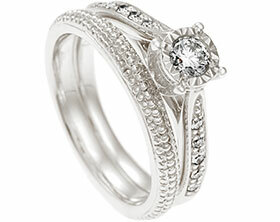 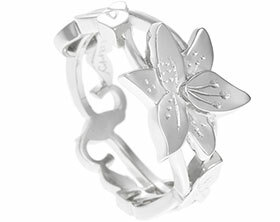 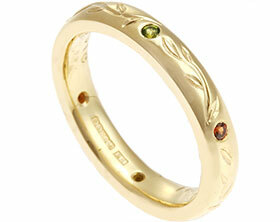 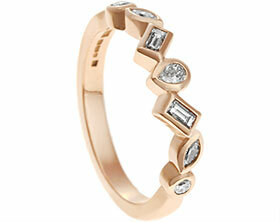 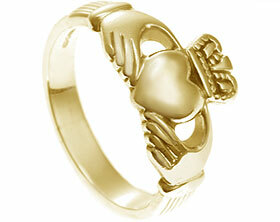 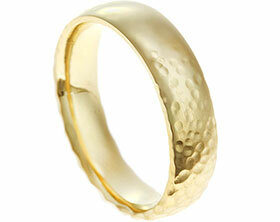 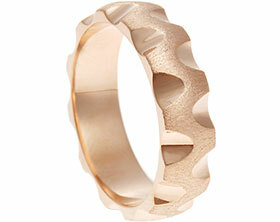 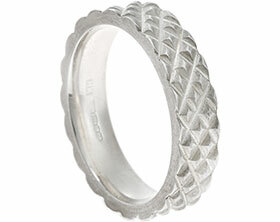 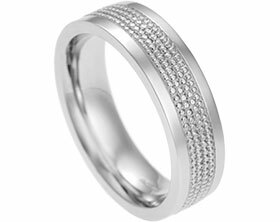 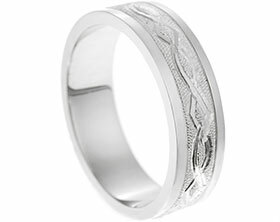 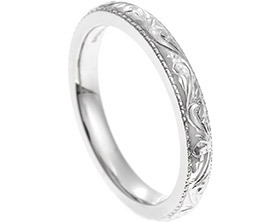 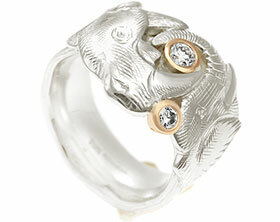 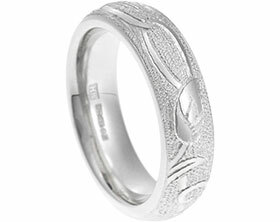 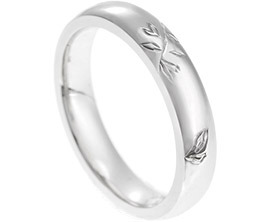 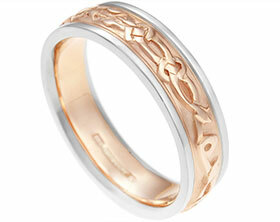 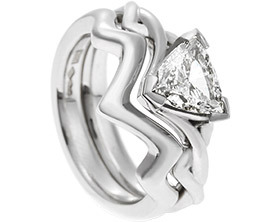 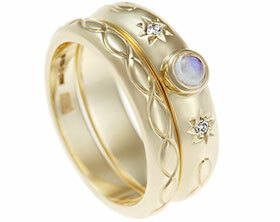 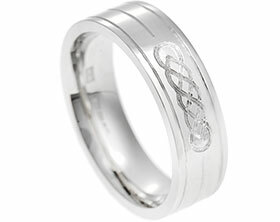 Paul wanted to incorporate this detail into his own wedding band. 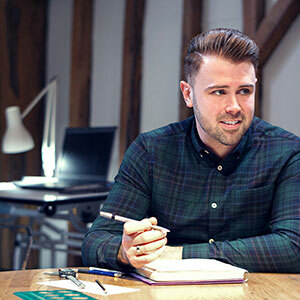 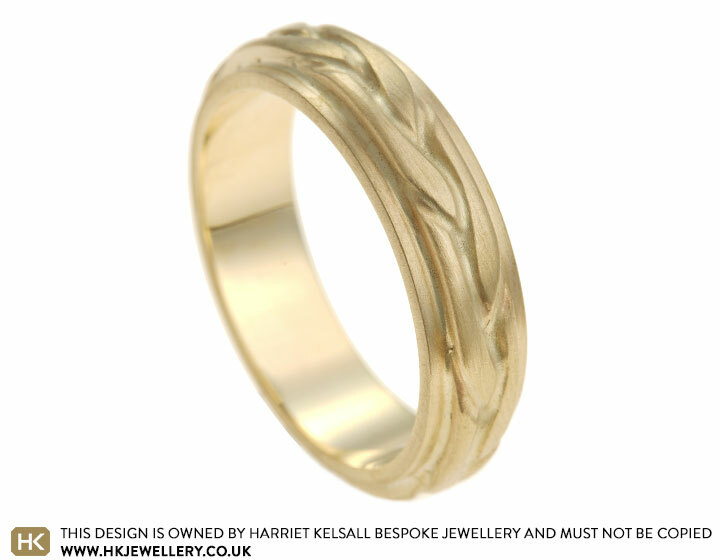 Together with our Cambridge based designer Tom, Paul designed this 6mm wide wedding band with a flat profile, which we have then overlaid a three strand braid. 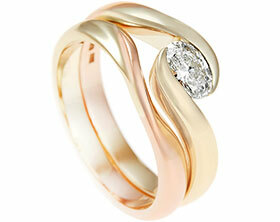 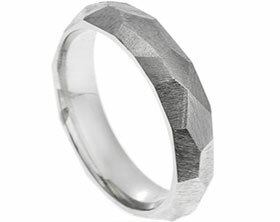 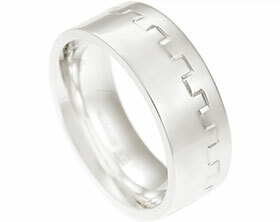 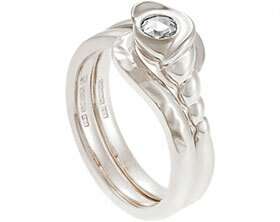 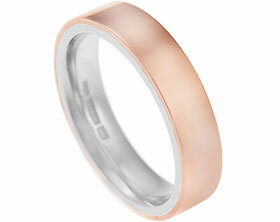 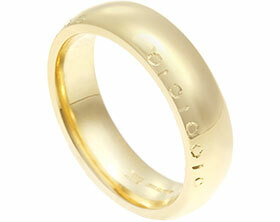 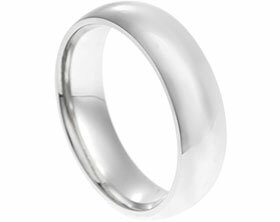 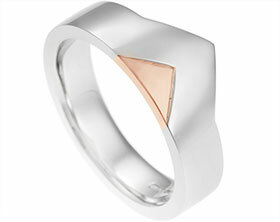 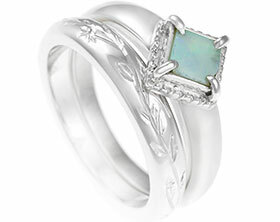 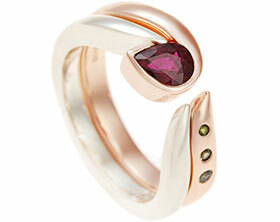 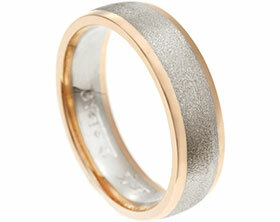 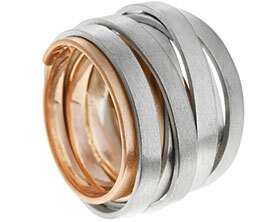 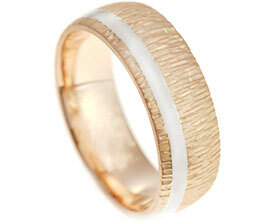 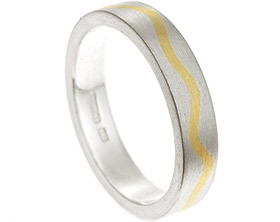 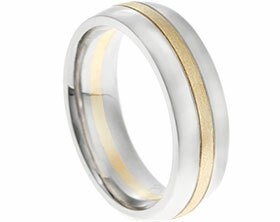 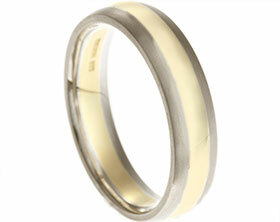 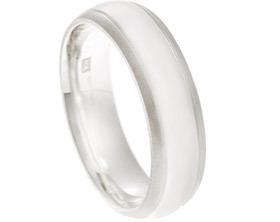 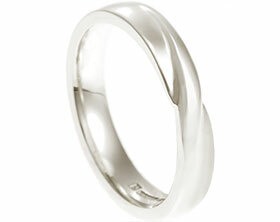 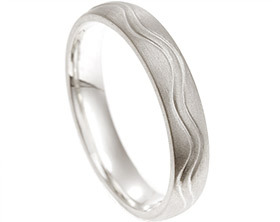 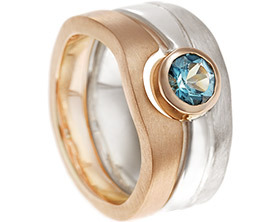 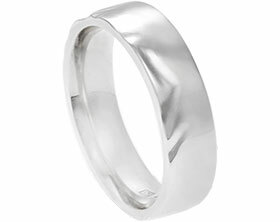 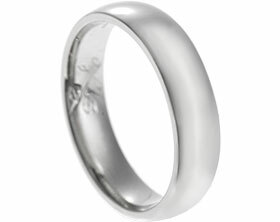 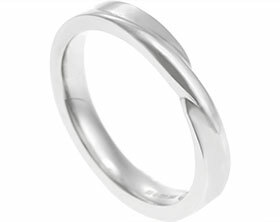 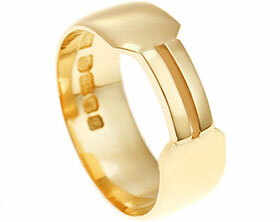 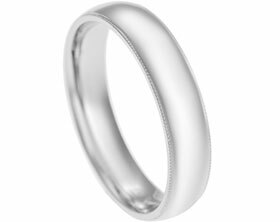 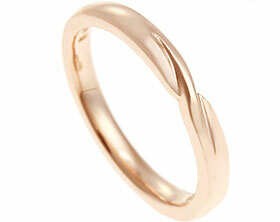 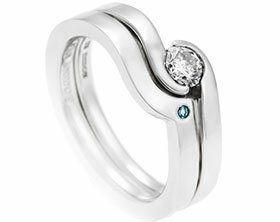 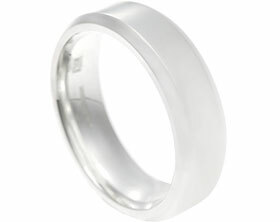 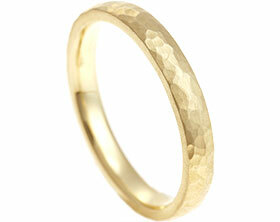 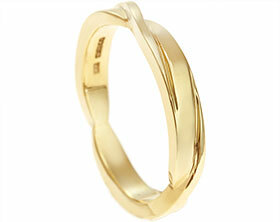 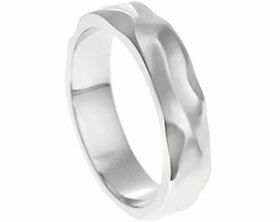 Paul's ring has been satin finished to highlight the soft lines within his design.